With the real Olympic games going on, there’s no reason Mario and Sonic need to remain trapped inside their colorful fantasy land. Let’s send them to Rio, and hope they survive. 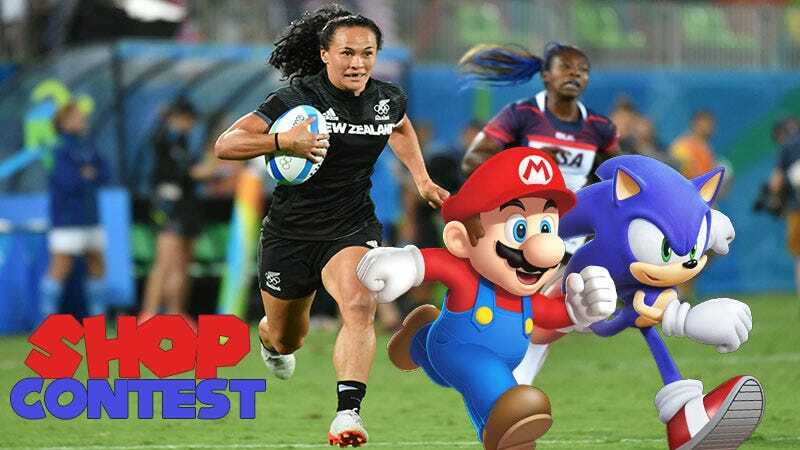 What I’m looking for in this week’s contest, which might be my last for awhile, is Sonic and Mario characters inserted into real images from the Rio Olympics. Not real Olympians in Mario or Sonic games, not real hedgehogs or plumbers cluttering up the field. Video game characters in real-world images. Since the Olympics are ongoing and I won’t be here next weekend, we’ll reveal the winners on Monday. May the best country win. Watch out for those water levels.